Welcome to Let’s Chat!, everyone! I‘m honored to begin 2019 with friend and fellow author, Bruce Judisch, a gentleman of the first order. 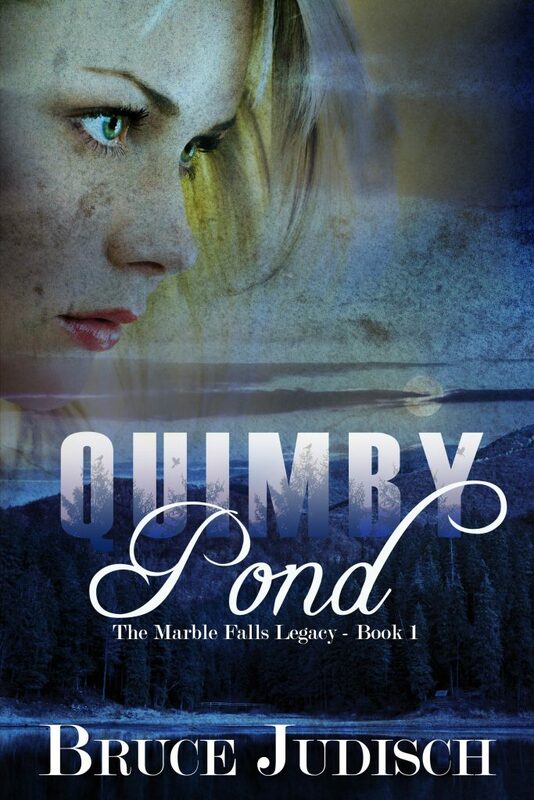 We chatted in 2017 about Quimby Pond—Book One of The Marble Falls Legacy. This time I’m excited to learn about Book Two–Sandy River. Bruce is offering a giveaway to someone who joins our chat circle: either BOTH Quimby Pond and Sandy River in ebook format or a signed, print copy of Sandy River–winner’s choice. Hi, Linda! Thanks so much for hosting me again. It’s been a couple of years now, mostly because it’s taken me that long to finish my next book. It’s the second of three parts to “The Marble Falls Legacy” series that I’m really enjoying writing. Oddly, it’s my third series, and when I started all three, I didn’t know they would become multi-work projects until I got well into the story. Whether that happens to seat-of-the-pants writers more than to those who outline their work, I don’t know. I do know it’s kind of a fun surprise, though. The thing about writing a series is that you become so deeply immersed in the characters’ lives. More so, I think, than writing a single title, if for no other reason than that you spend so much more time with each of them. You don’t just watch them mature, you mature with them through their failures, learn their lessons, and respond to the next challenge along with them. Maybe that’s why my projects end up as series; I just don’t want to say goodbye to my characters. They say writing is a solitary life, and I get that. Mine, though, is a very happily crowded solitary life. August 20, 1896, Marble Falls, Maine. A festively adorned bridal trunk arrives on the one o’clock train, but no newlyweds debark to claim it. Curious townspeople gather for the evening train, but again only to disappointment. Where was the happy couple? What became of the trunk? And what if it wasn’t a bridal trunk at all? The fun part to this is that the 1896 event with the trunk actually happened. Friends of mine discovered the account buried in the back pages of an old copy of the Rangeley Lakes newspaper (“Marble Falls” is a fictional town based upon Rangeley, Maine.) Now tell me, how can a fiction writer chance upon a tidbit like that and not write a mystery? Present Day, Medford, Massachusetts. When Gwen returns from Marble Falls to settle her father’s estate, she discovers a shocking revelation in his will. In the quest to uncover his secret, she stumbles upon a family connection to an antique trunk—one whose legacy nearly ended her life two months earlier. Torn between pursuing her past and securing her future, mysterious events threaten to stop her from finding out the truth. 1861, Boston, Massachusetts. Irma Kelly, a strong-willed debutante on Beacon Hill’s affluent South Slope, is a fervent abolitionist and restless feminist. As Boston plunges into the Civil War, her once comfortable society evolves beyond her experience and challenges her sensibilities. But she is determined do whatever she can to right the wrongs in her world, even if it means facing mortal danger. As Gwen and Irma pursue resolutions to their futures, their silent voices reach out to each other through the ages, and the years between them melt away, bringing their hearts together. 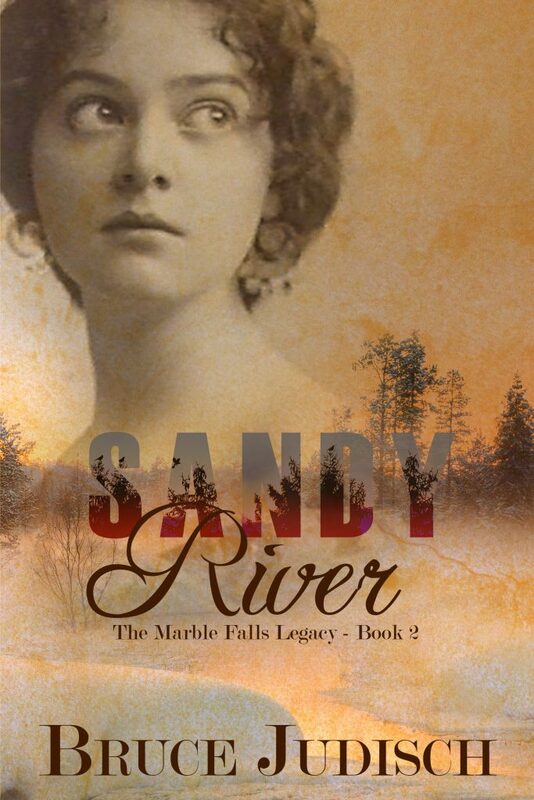 Sandy River picks back up with Gwen’s life, but adds the story of how the mysterious bridal trunk came to be. And, as the blurb hints, an ethereal connection between Gwen and her distant grandmother Irma arises from it. Book three of “The Marble Falls Legacy” series is under construction. It will be predominantly historical, completing the story of the bridal trunk, but will also include some contemporary content. But don’t ask me exactly how just yet. Remember, I’m a seat-of-the-pants writer. 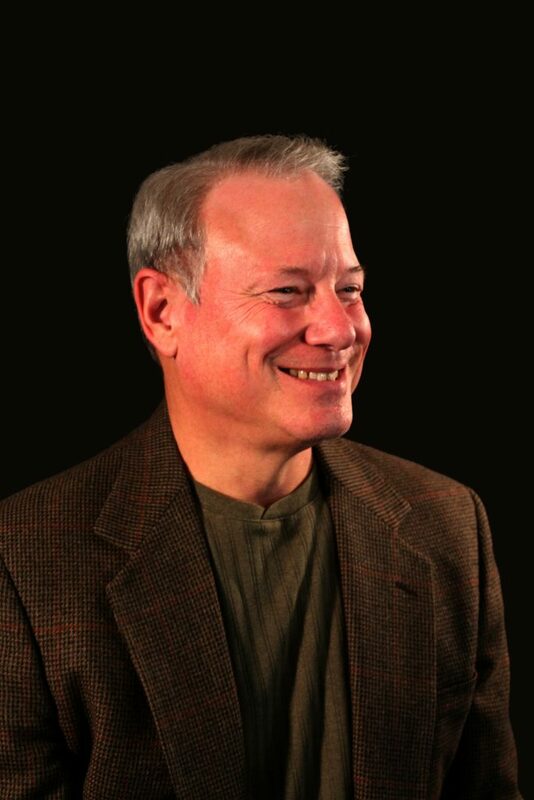 Bruce Judisch has been writing fiction for over fifteen years. His first work, “A Prophet’s Tale,” is a two-part novelization of the story of the Old Testament prophet, Jonah ben Amittai, comprising The Journey Begun and The Word Fulfilled. A third part, The Promised Kept, is under construction. More recently, he wrote Katia and its sequel For Maria, both with complementary present-day and 20th-century historical storylines. Bruce lives in Texas with his wife and high-school sweetheart, Jeannie, and their two Cavalier King Charles Spaniels, Charlie and Raleigh. They are the proud parents of three and grandparents of fourteen. Lord, thank You for the privilege of connecting readers with writers like Bruce. 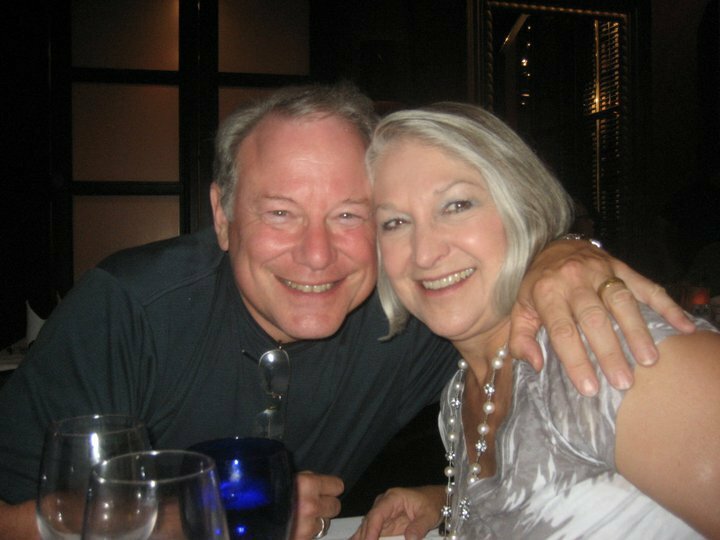 You’ve given him a gift and created readers who are looking for stories like his. Providing a platform for them to meet is a sweet spot for me. You have the words of life, Lord. Please bless each word of life Bruce shares through his fascinating stories. Hi, Susan. Bruce is a terrific author. And man. I know you’d love his books. Hey Susan! Thanks for stopping by and commenting. I so empathize with your comment on finding the time to read all the books you’d like to. 🙂 Here’s wishing for you a 2019 filled with more reading time. They sound great. I can’t wait to read them. Welcome, Angie. Yes, Bruce’s books are great. I know you’ll enjoy them. Hi Angie! I hope they bring you as much joy reading them as they brought me writing them. 🙂 Thanks for commenting. These stories are ones I must read; I never considered that a bridal trunk could be so intriguing!! thanks for the chance to enter the giveaway. Hi, Diane. Great to welcome you to the circle. Yes, you must read Bruce’s books. They’re wonderful. Thanks, Lora. 🙂 You had a great deal to do with both “Quimby Pond” and “Sandy River.” Thanks for leaving the comment. Hi, Lora! You are one the unsung heroes of Bruce’s books. I know he’d agree with me. 🙂 So glad you joined us. Thank you. These books sound very interesting to read the dual time periods are something I have never read before. And Cavaliers are the best. 🙂 Incredible family dogs. Hi, Judi! I love welcoming you to our circle. Yes, Bruce’s books are fascinating. I know you’ll enjoy them.